Read 2 times. Last read March 4, 2015 to March 8, 2015. March 2015: Oh my heart. I was an emotional wreck reading this for the 2nd time. I just love it. LOVE it. Henry and Kate just have such an unselfish love for each other... I'm gonna cry again. 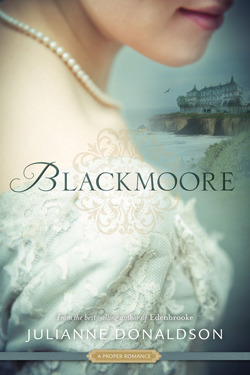 *sniff I was in the mood for a regency era romance and Blackmoore satisfied me 150%. Nov. 2013: I loved it. I can't really compare it to Edenbrooke because they are 2 different books. I cheered for Henry from the very beginning. I also wanted to drop kick a couple moms. A sweet, romantic read. Sign into Goodreads to see if any of your friends have read Blackmoore. 0.0% "I'm in the mood for the regency era... :)"